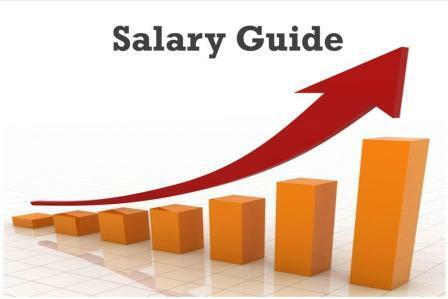 Recently we provided a salary guide laying out compensation ranges for most functions within the commercial heat treat industry. Here, we will provide the same information as it relates to OEMs and specifically furnace and oven manufacturers. Although job descriptions can vary quite a bit between companies, and salaries are subject to regional adjustments, this should give you a reasonably accurate representation of the current market-value for most OEM positions. An important note: compensation packages in the heat treat industry have advanced rapidly over the past few years. As the labor market has tightened, companies have had to increase wages to attract the resources necessary to run a successful operation. In many cases, the employer is offering non-cash incentives as well, such as more vacation time, the ability to work from home and profit sharing or bonus programs. Mechanical, Electrical and Project Engineers: These are typically degreed individuals who handle project management and will often act as the project lead regarding equipment design. Electrical engineers will generally not be the lead on a single project but will spread themselves out over several projects. Typical salary ranges for engineers can vary quite a bit depending on total number years of experience, but usually falls anywhere from $85k up to around $110k. Designers, Draftsman, Detailers (both Mechanical and Electrical): These are typically non-degreed individuals who are the backbone of every Furnace/Oven Manufacturer. They are typically paid hourly and can earn anywhere from the mid – $20’s to $40/hour + OT. Application Engineers: These positions can also be called proposal engineers, estimators, inside sales engineers, etc. Whatever you call them, these are the people who put together the quotes that get sent to prospective customers. Sometimes, the business development person will also handle quotes, but companies will benefit from having this function done in-house and thus allowing the sales engineer to be out in the field doing what they do best, SELLING. Application engineers are usually compensated at around $65k on the low end, but they can earn up to six figures or more for those who have niche technical expertise and who also work closely with outside sales to close deals. Field Service Engineers: FSEs are a unique breed of technical “road warriors,” who love to travel and spend days, weeks or months away from home. These hands-on engineers and technicians work on installations and start-ups of equipment all over the world. They are almost always non-exempt employees and a significant percentage of their income can come from OT and per diem. Good ones can often make over $100K in any given year, but they are usually earning a base rate in the $25-35/hour range. As this type of skills set and availability to travel is highly in demand, more and more companies are offering remote-work and other flexible schedule options to entice and retain experienced FSEs. Sales Engineers: Two types of compensation plans are prevalent for sales. One type of plan is salary only, commensurate with experience. The other is salary plus commission or bonus. Generally, OEMs who have a very technical, custom designed product and a long sales cycle will incentivize their sales engineers mainly with base salary and perhaps a small incentive bonus. This works well for both parties since it can be hard to determine a commission percentage for a sale that might be years in the making. OEMs with a more standard product line, and therefore a shorter sales cycle, will often opt for a smaller base salary and more incentive in the form of commission or bonuses. Whatever mix of base and commission, most sales engineers are earning somewhere in the low to mid $100k’s, plus car allowance/company car/mileage. Compensation plans for sales can be complex and we will provide an in-depth analysis of how sales professionals are incentivized in a future article. VP/Production/Other: This is obviously not an exhaustive list of positions within an OEM but covers most of the middle management roles. VPs were intentionally left out because compensation can differ so much at the higher levels depending on the company, region and equity or bonus packages. Hourly production workers are always in demand as well. However, typically companies don’t require much experience and are willing to hire at a lower rate and provide in-house training. If you have questions about any specific position, please feel free to contact us at info@ispards.com. For over 20 years, ISP has been the premier recruiting solution for the Heat Treat industry. The salary information provided is based on information gathered over that time and from interviewing 500+ industry professionals per year. If you’re hiring now, or exploring new opportunities for yourself, we are uniquely positioned to be your partner for success and would love to work with you. Please contact us at info@ispards.com or 619-465-9621.